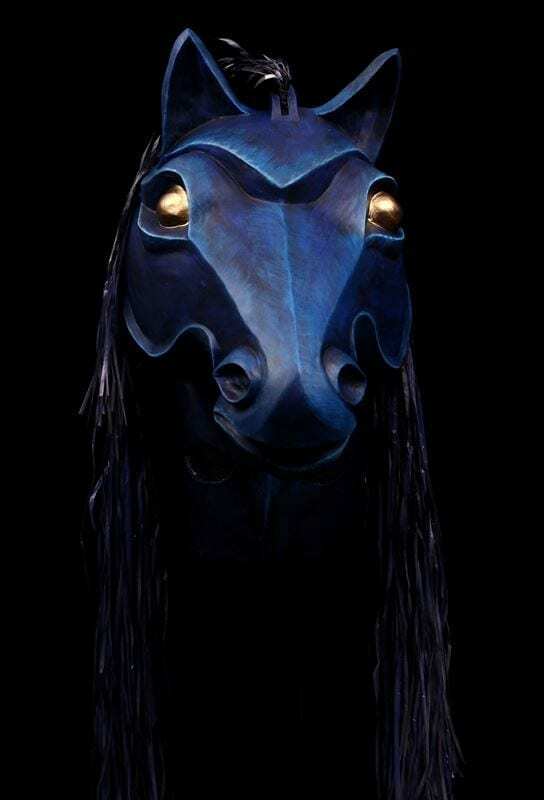 This stunning Greek Theater Mask was created for the play Amphytrion by Molier. Wouldn’t it be beautiful in carnival parade? 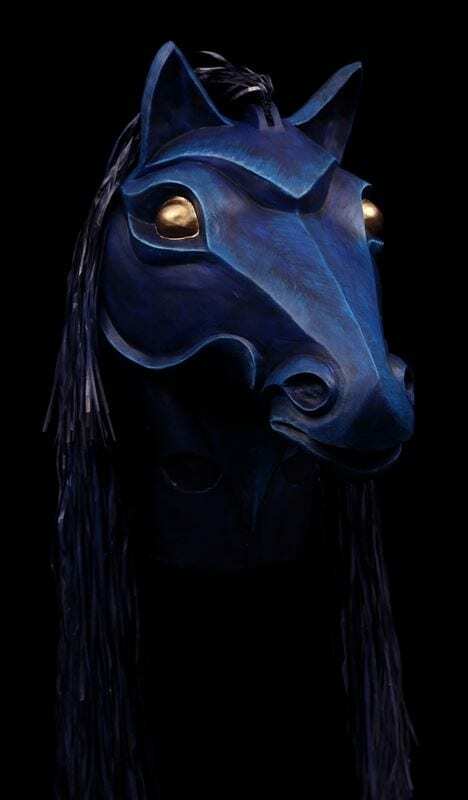 The Night Steed Mask rises above the head of the actor creating the illusion of an eight-foot animal. 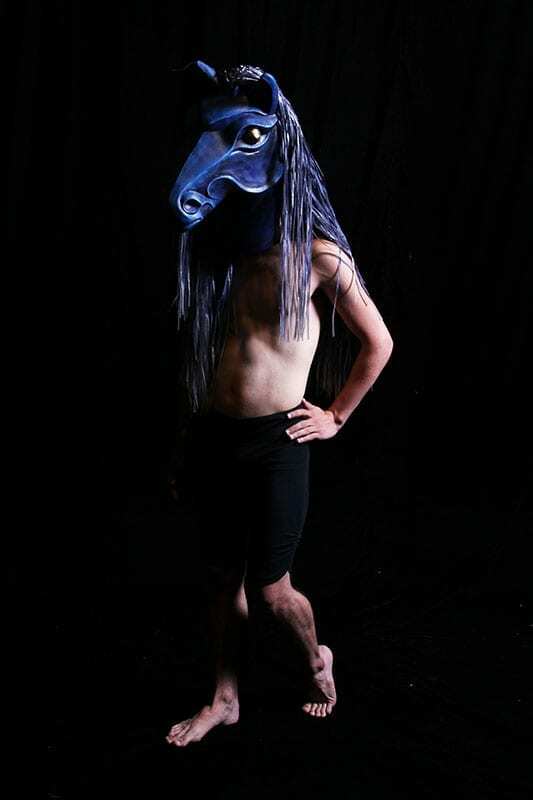 The actor sees through screened eye holes cut in the neck of the mask.